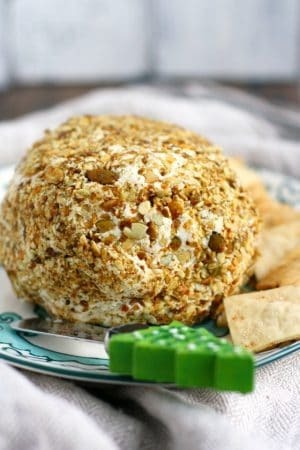 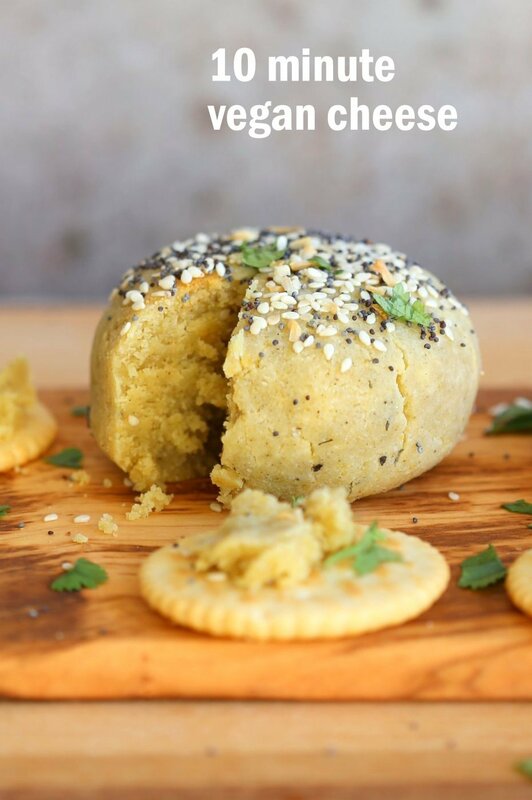 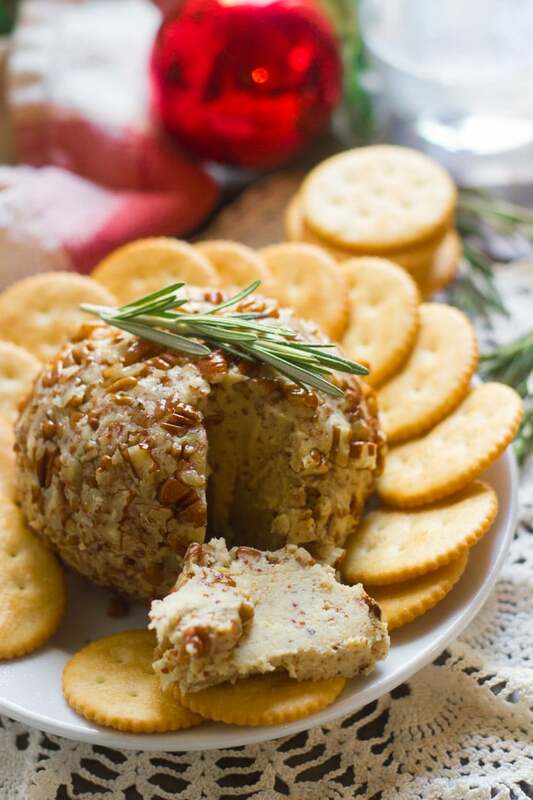 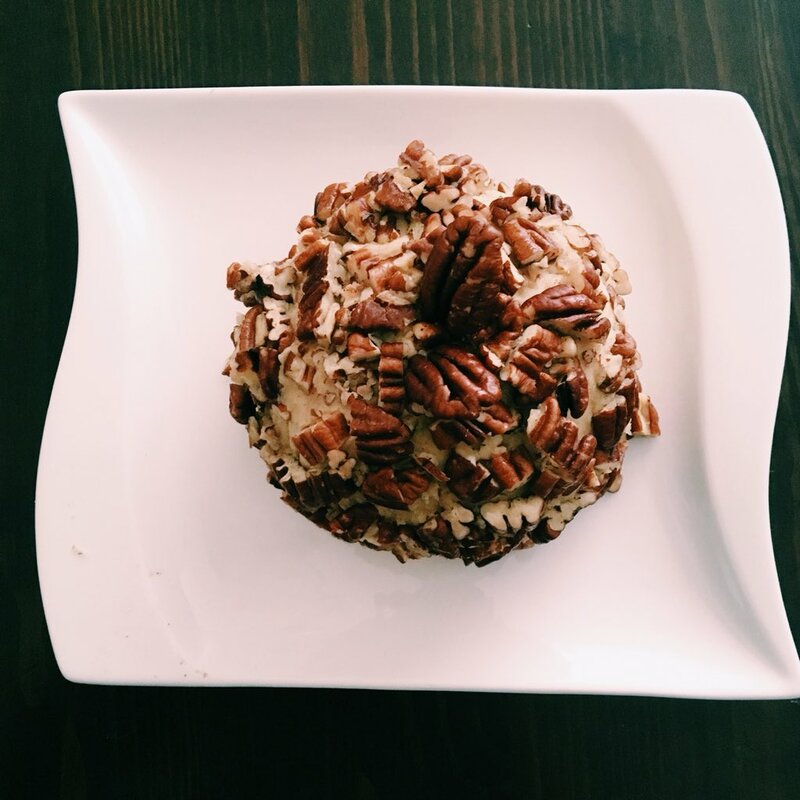 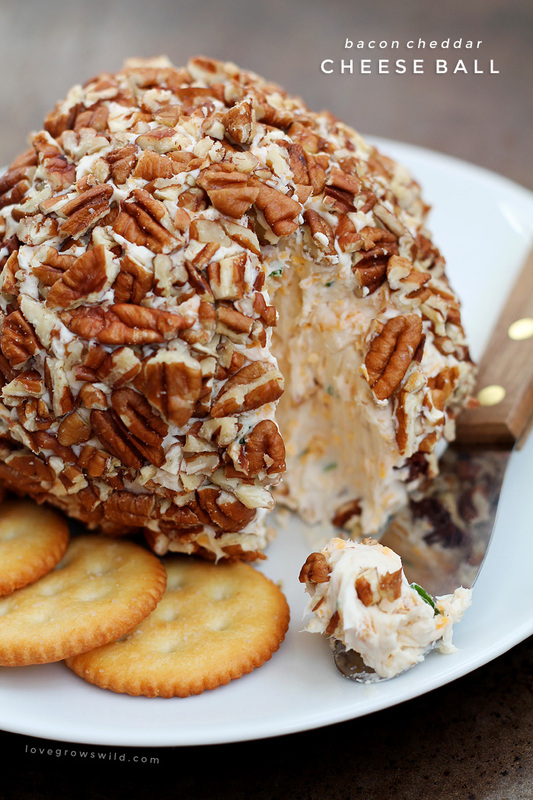 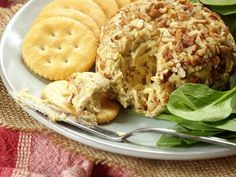 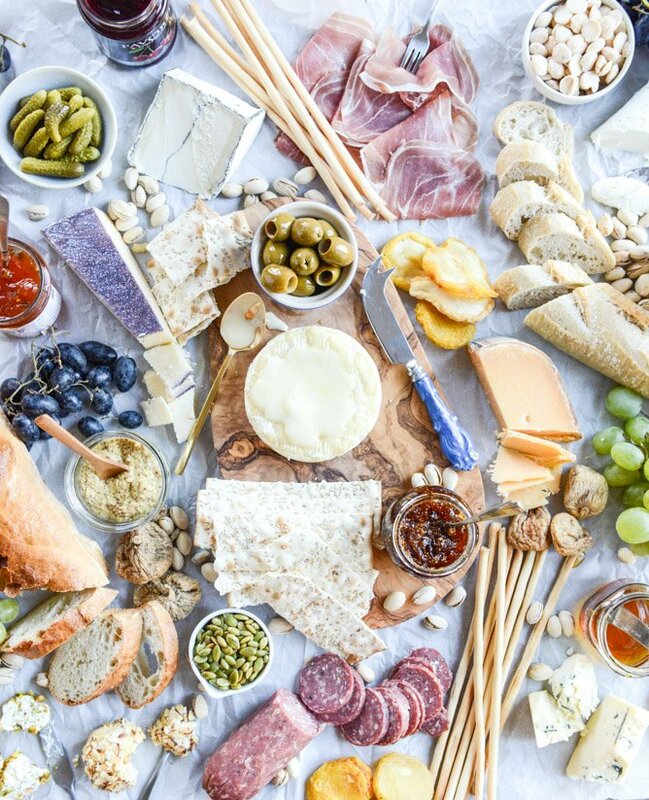 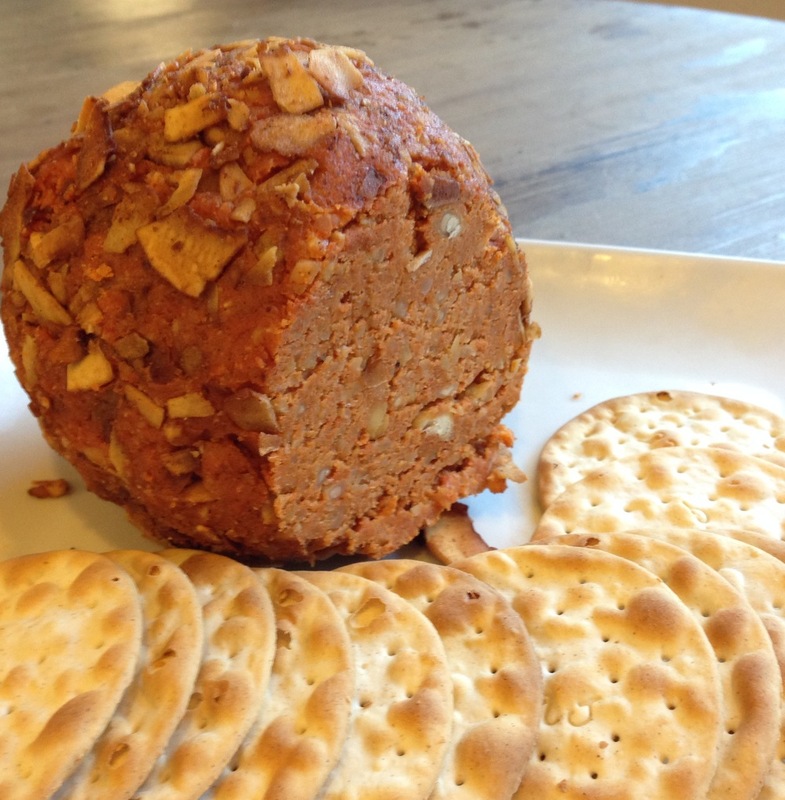 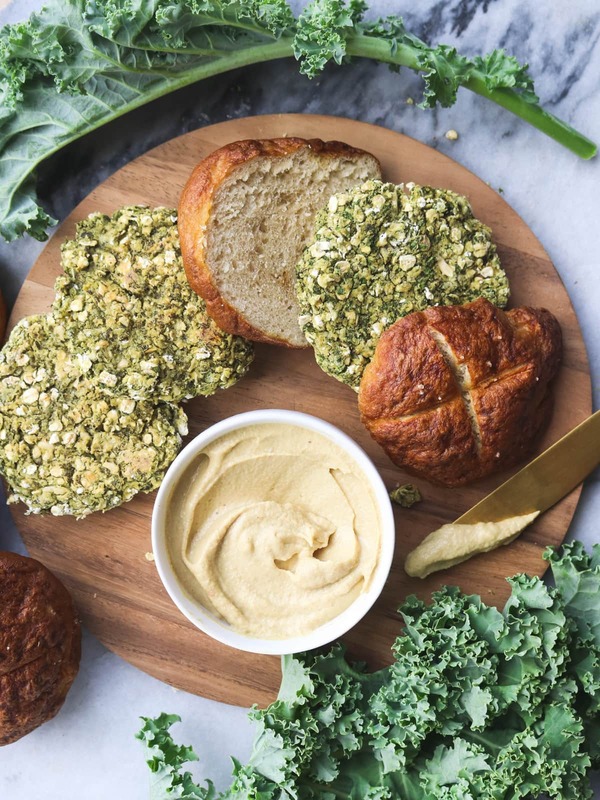 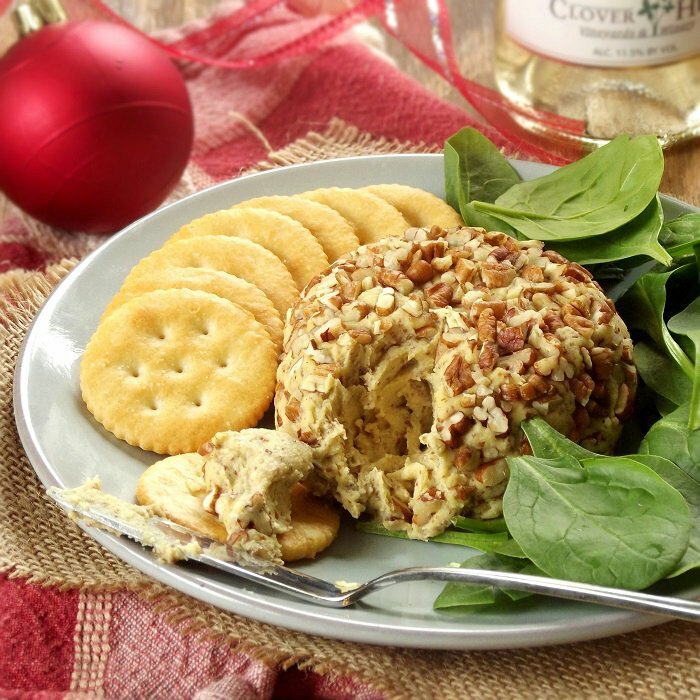 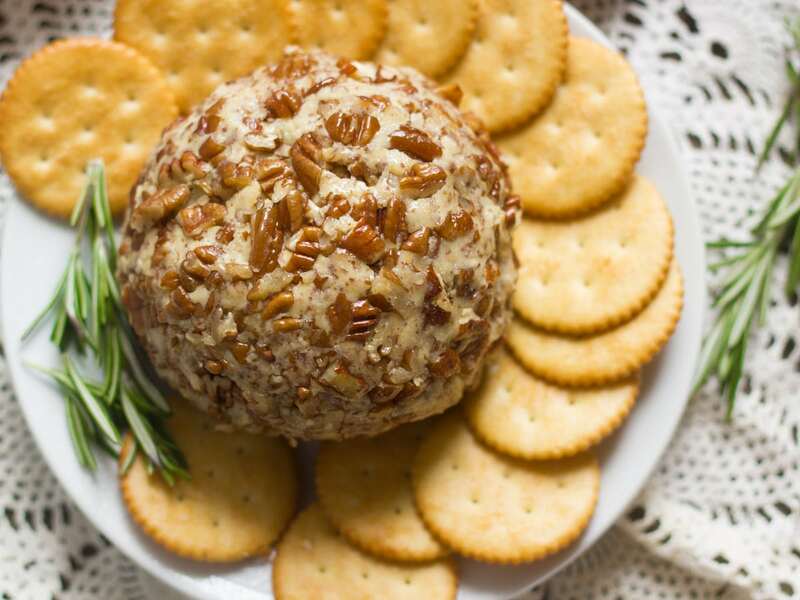 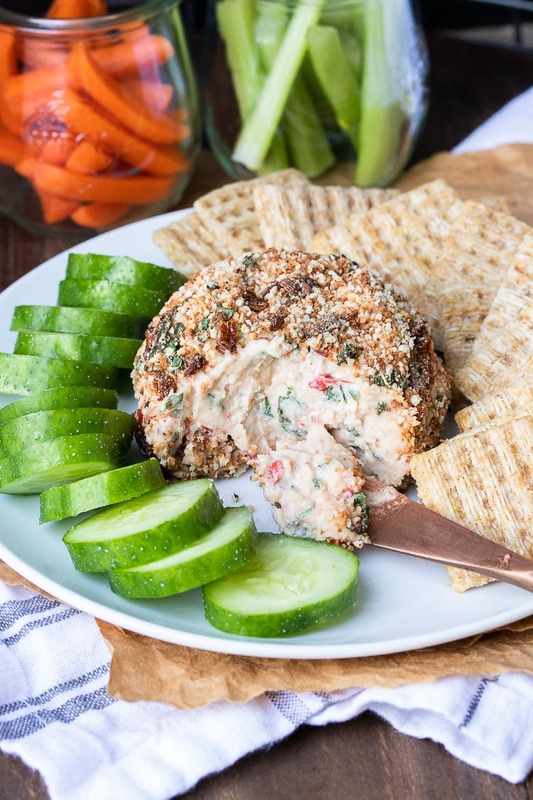 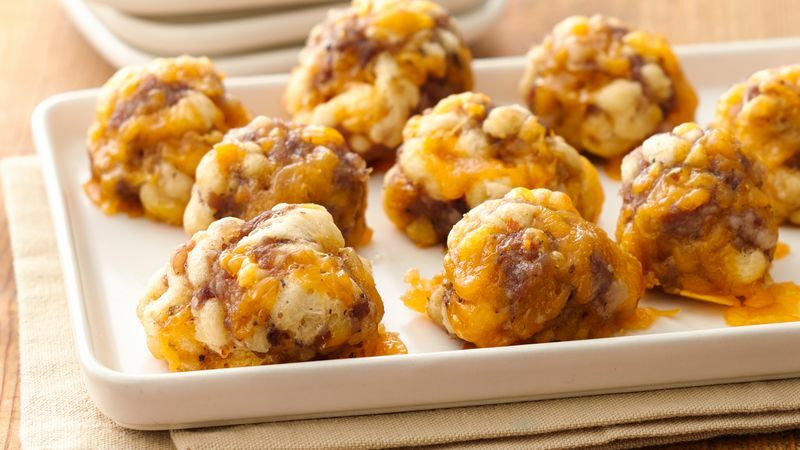 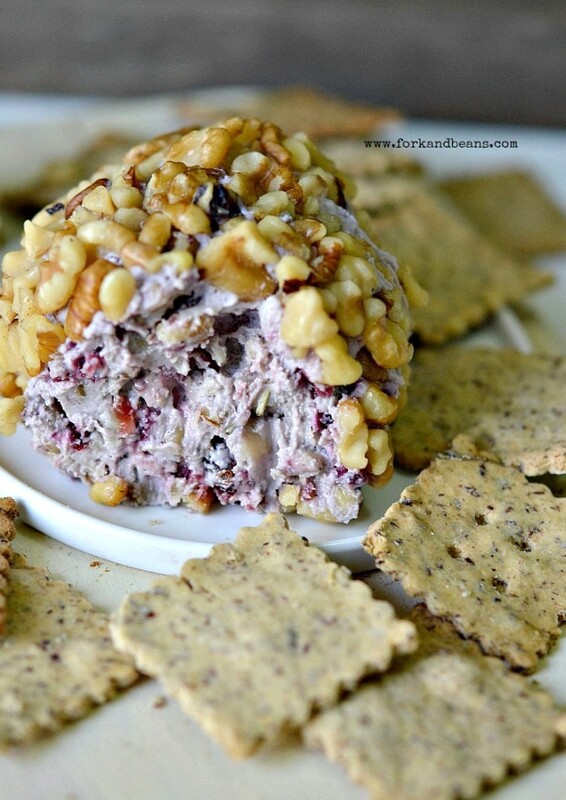 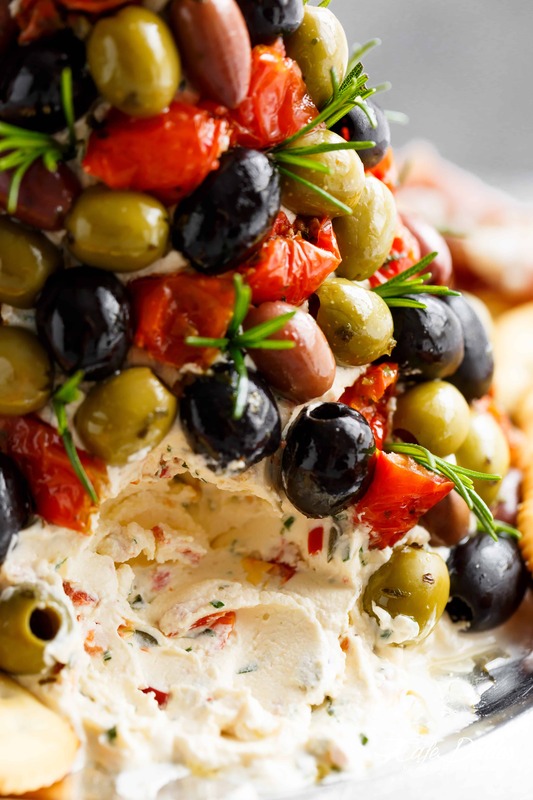 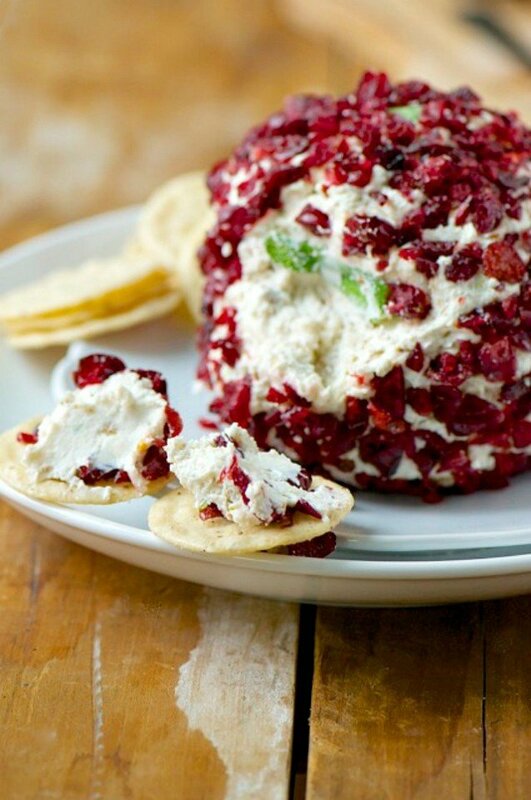 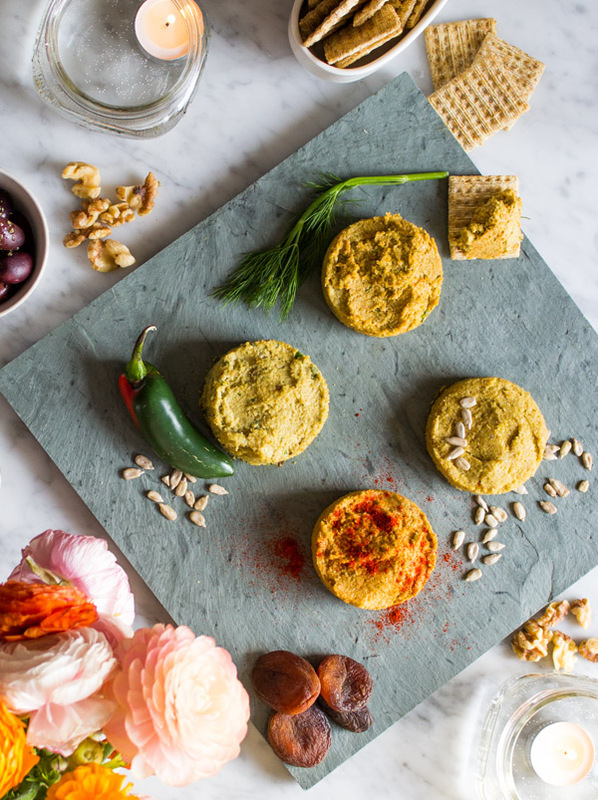 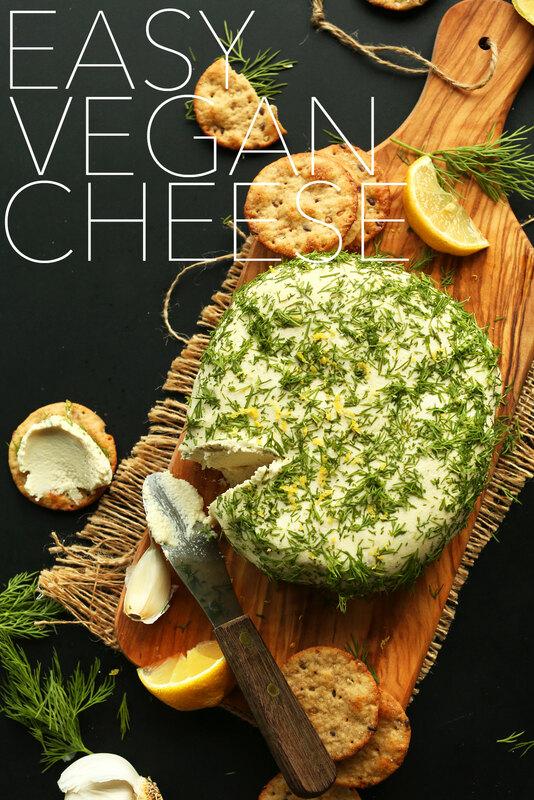 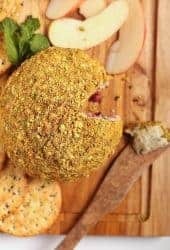 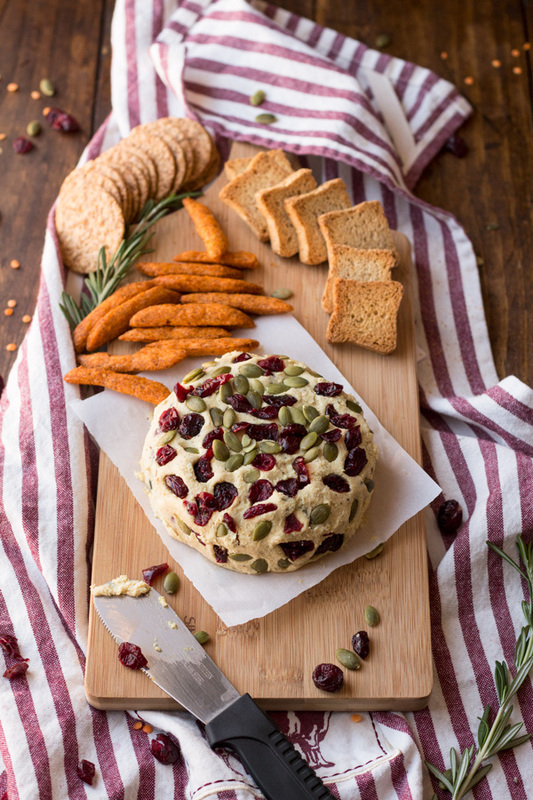 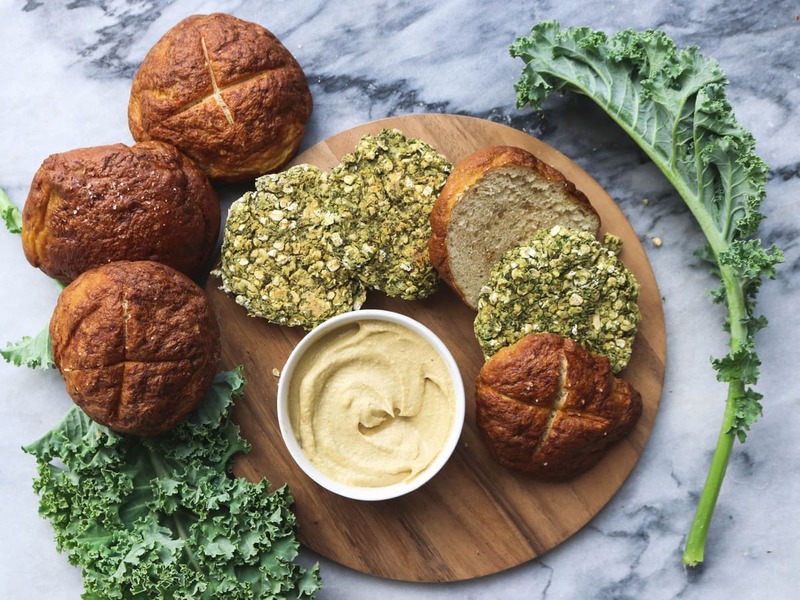 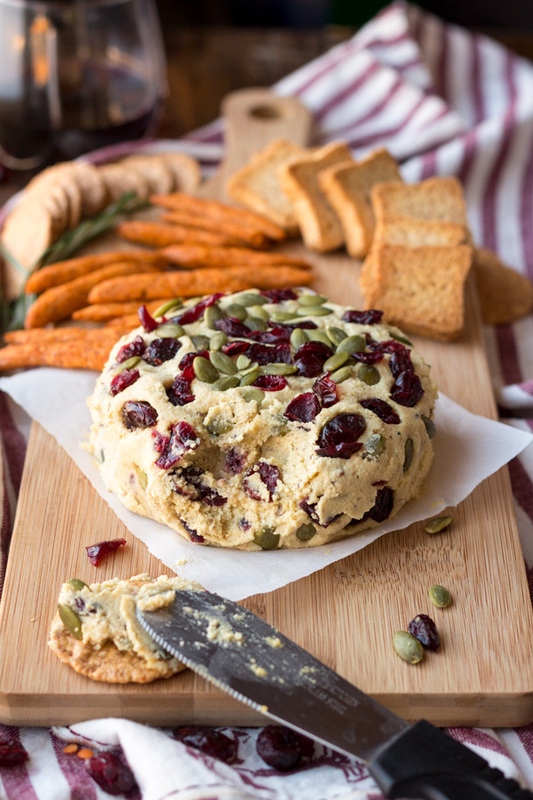 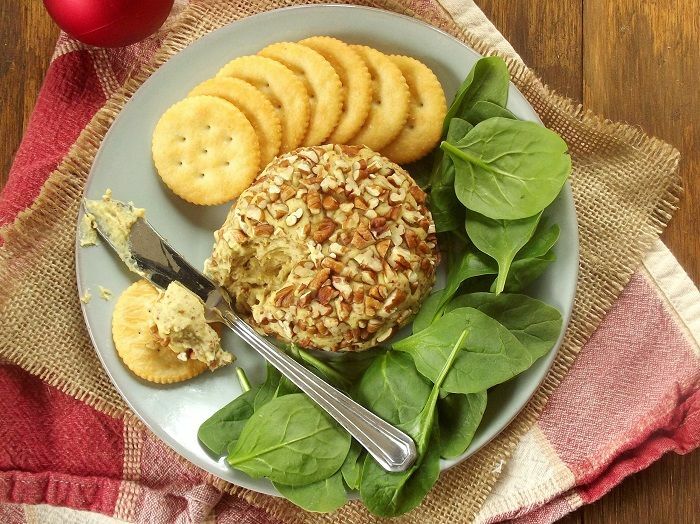 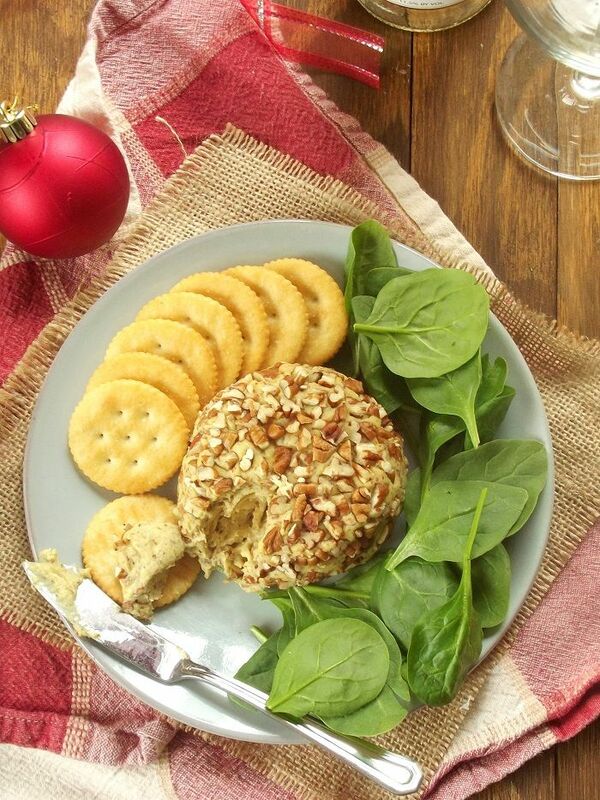 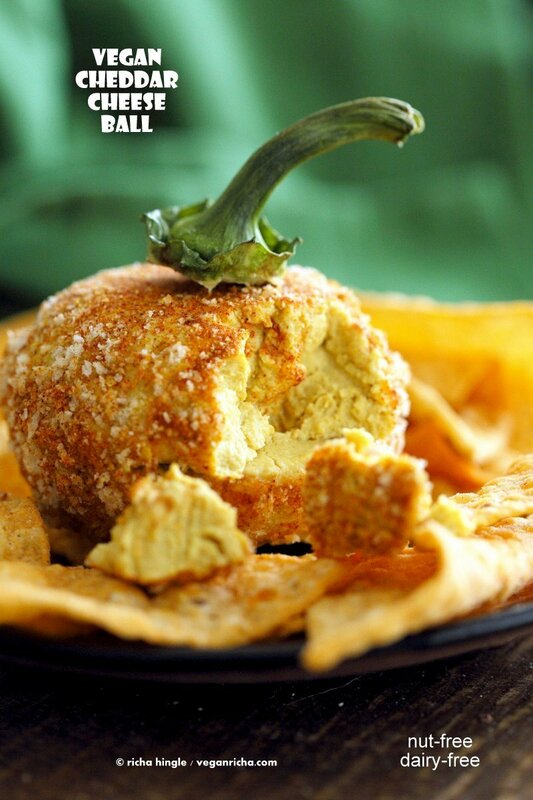 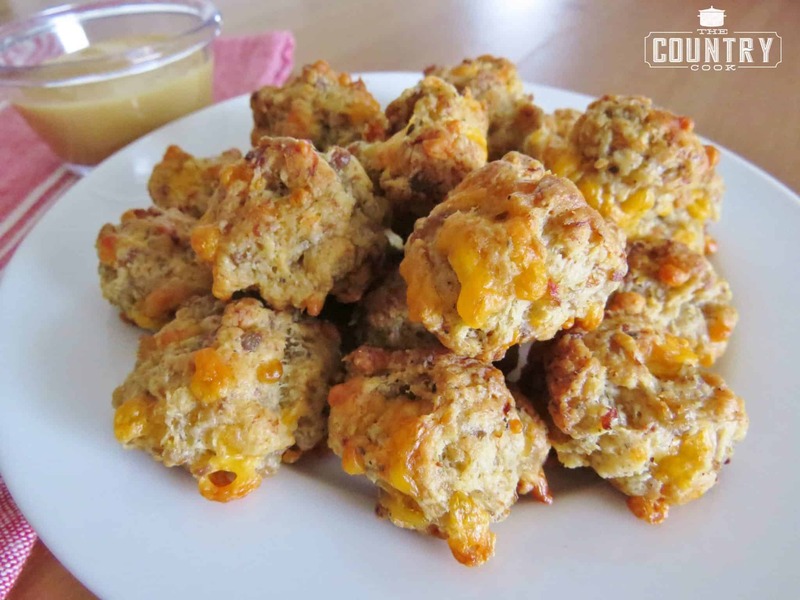 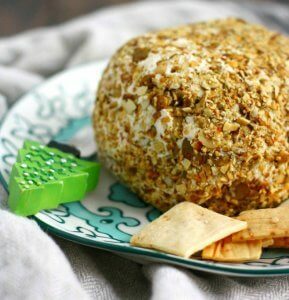 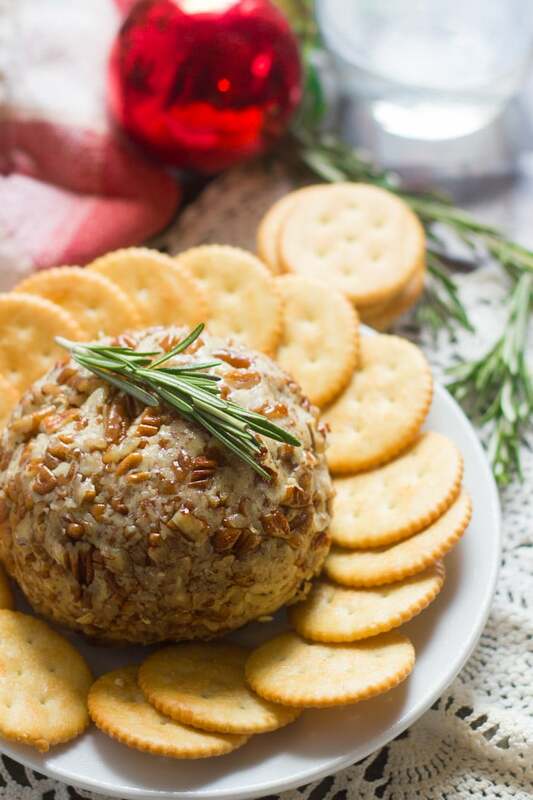 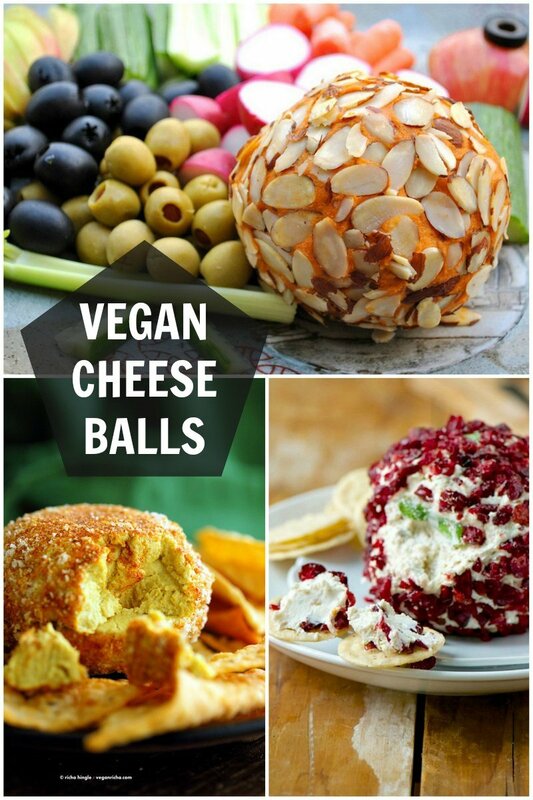 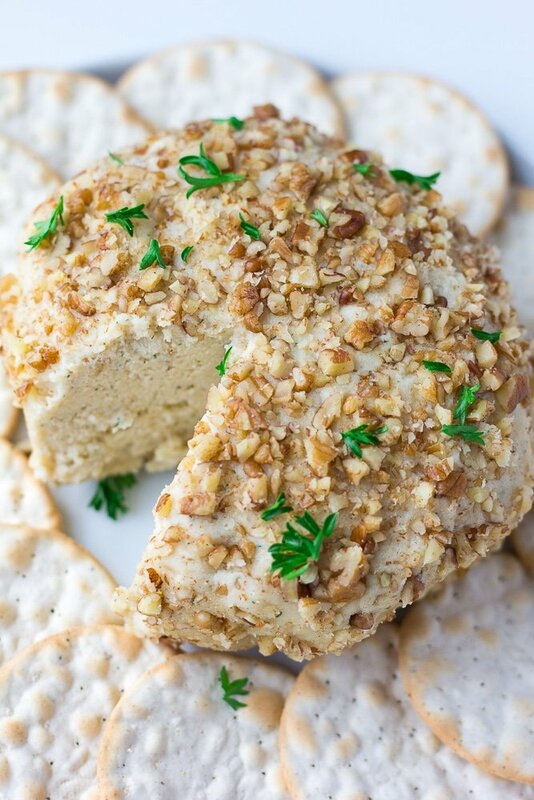 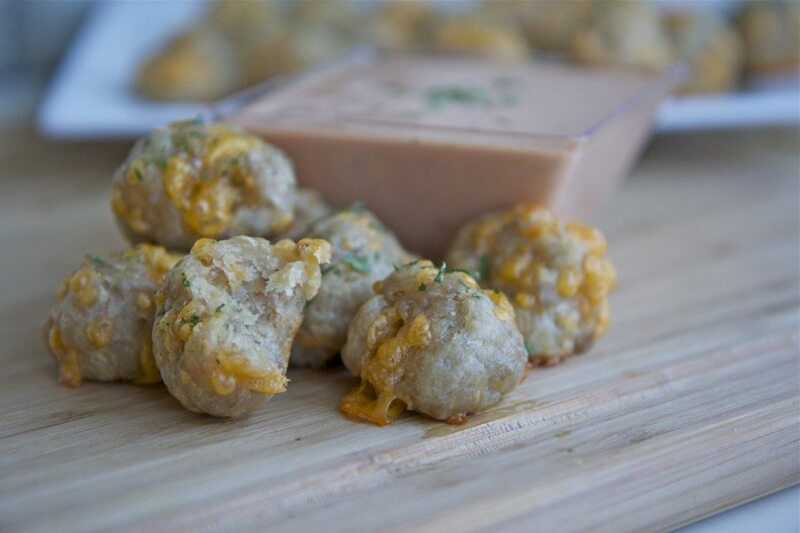 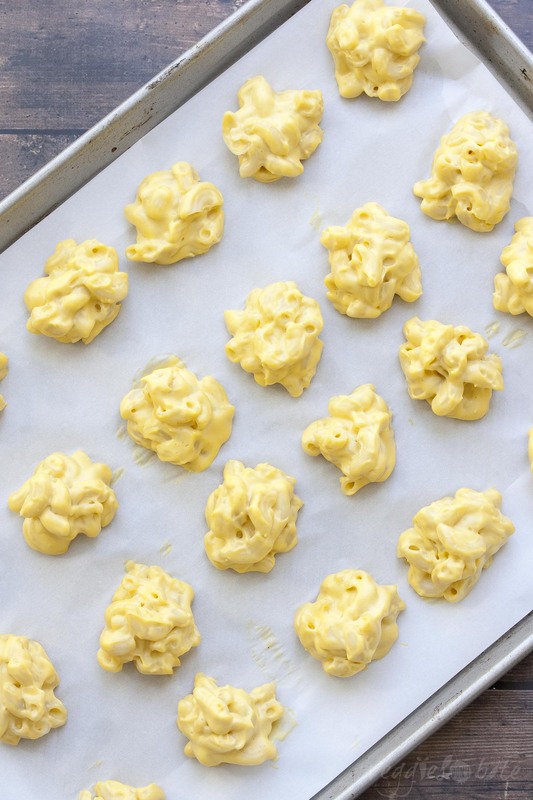 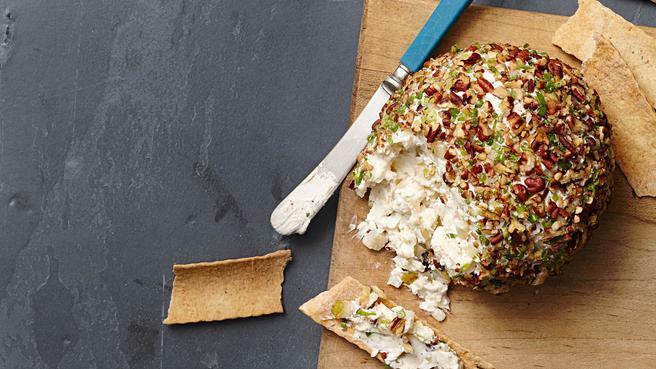 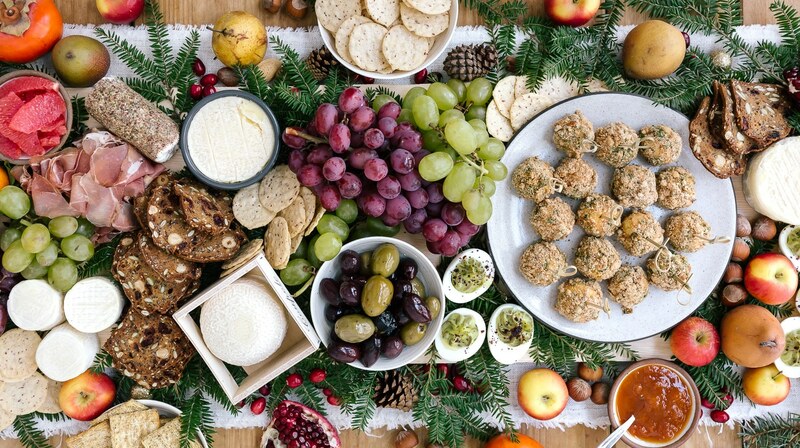 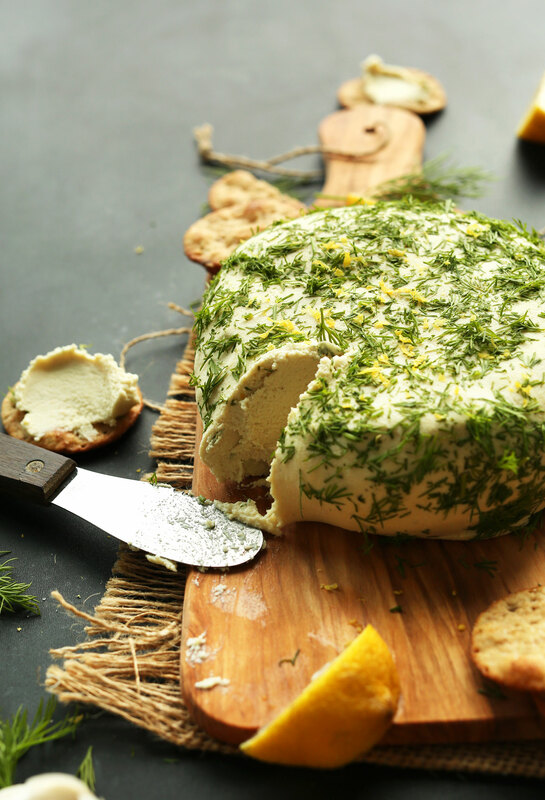 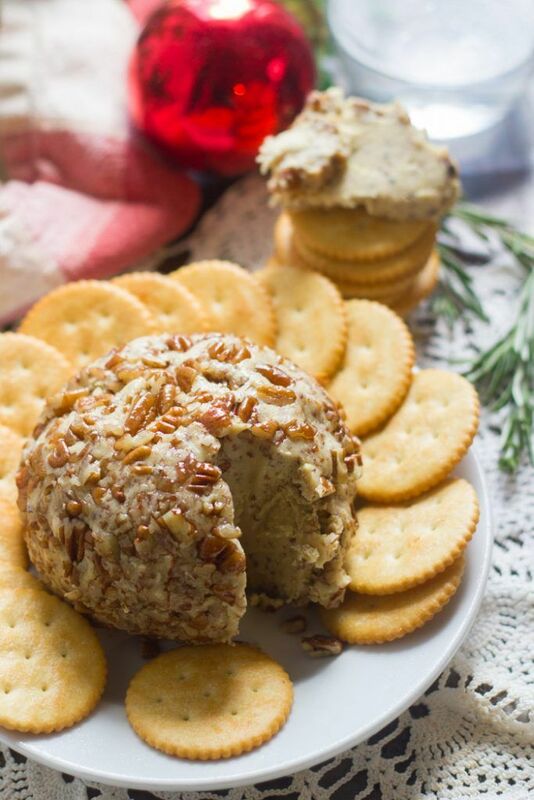 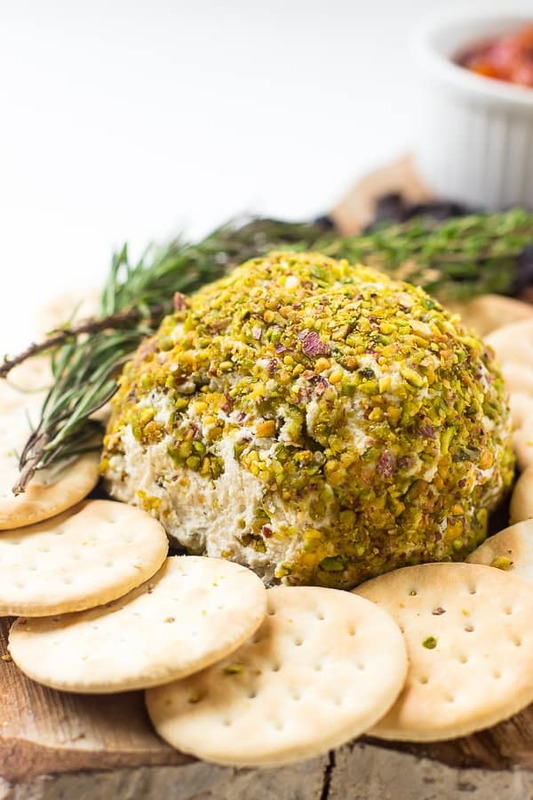 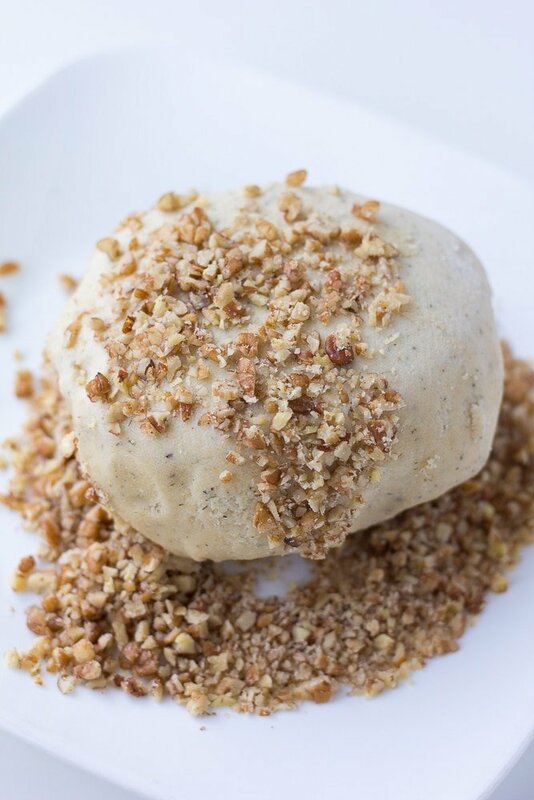 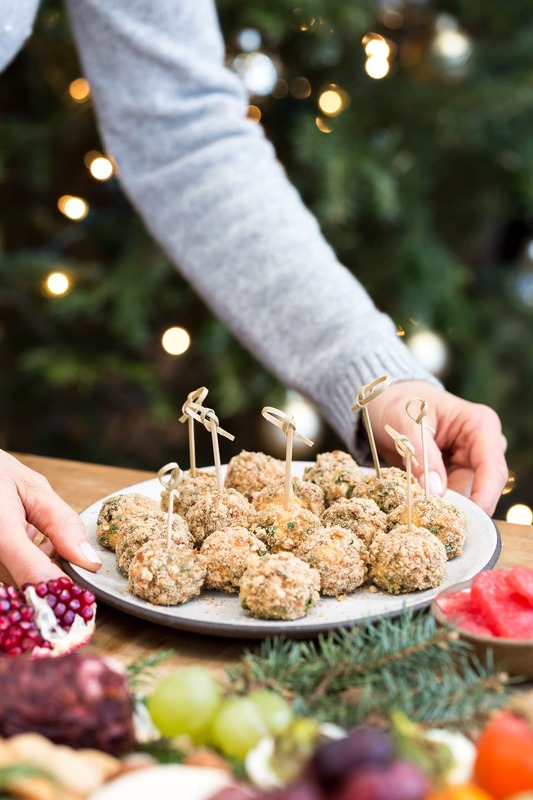 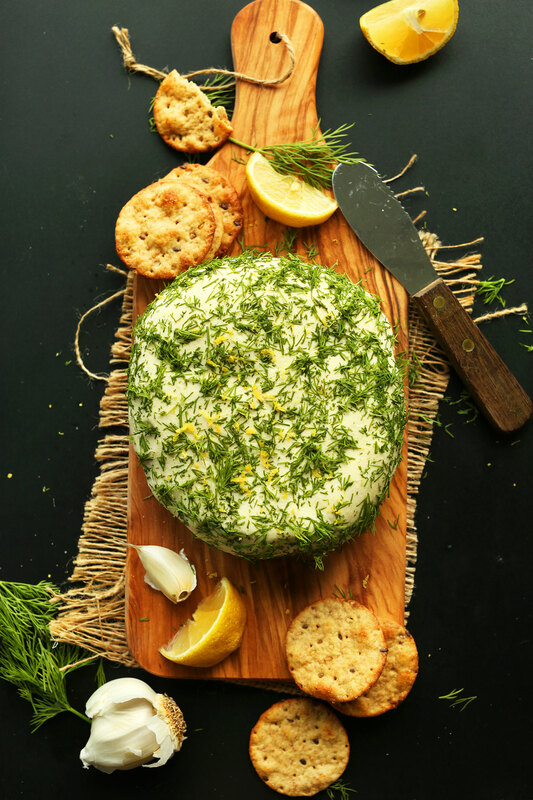 This vegan cheese ball is made with creamy cashew cheese flavored with maple syrup and Dijon mustard, rolled up and covered with a crunchy pecan crust. 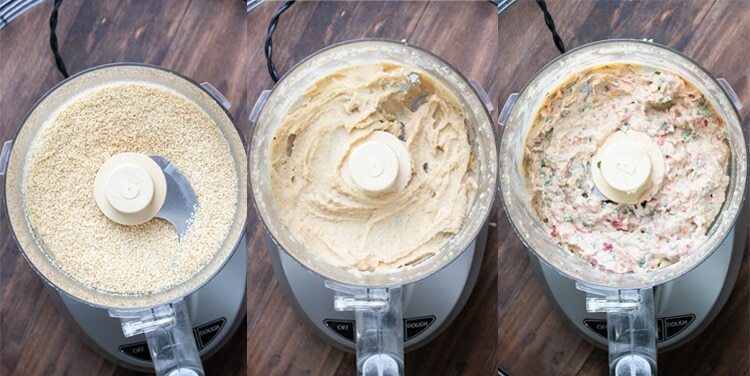 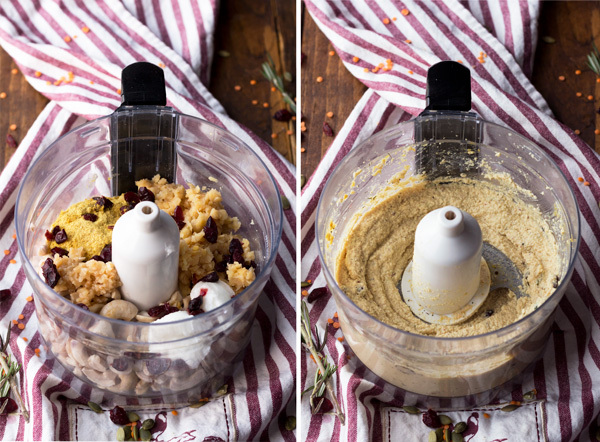 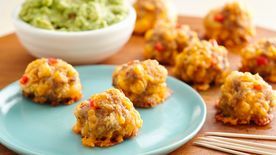 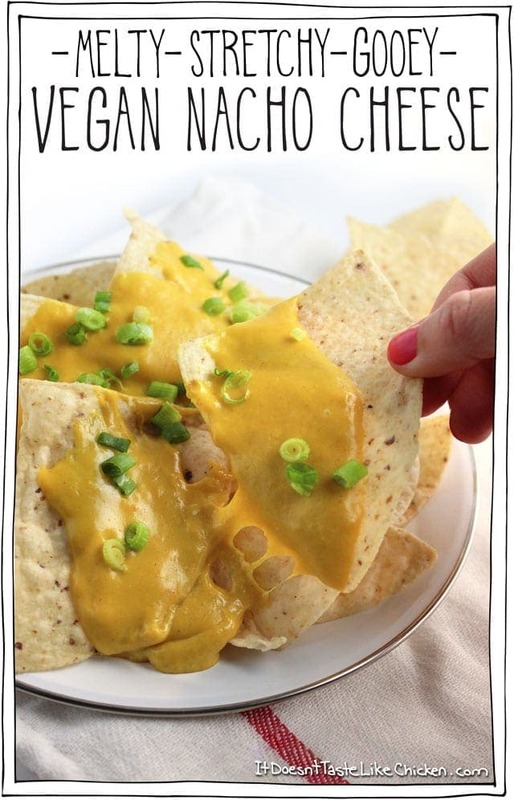 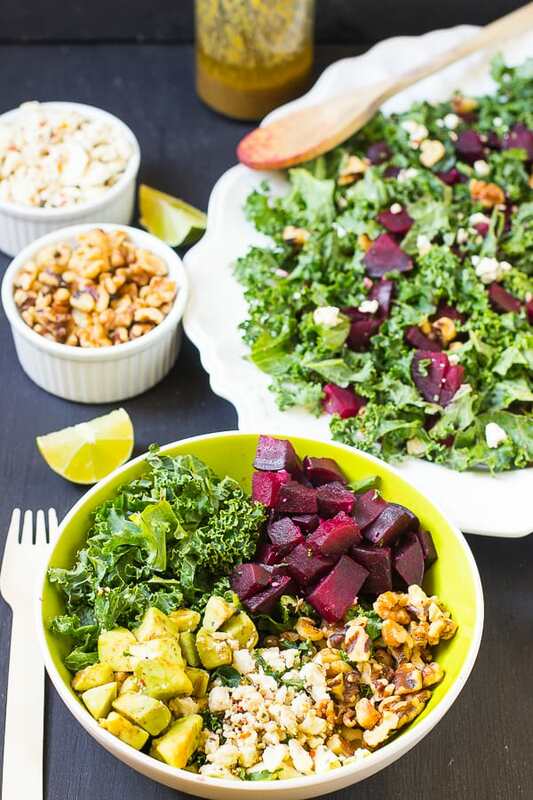 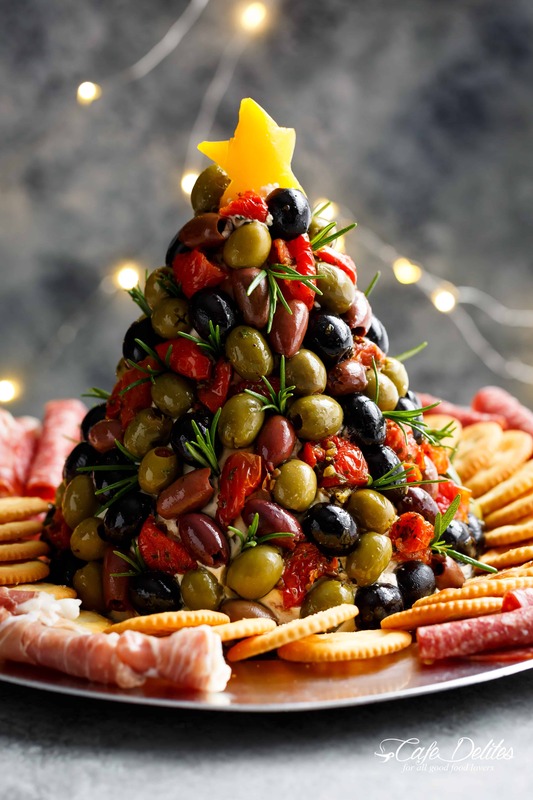 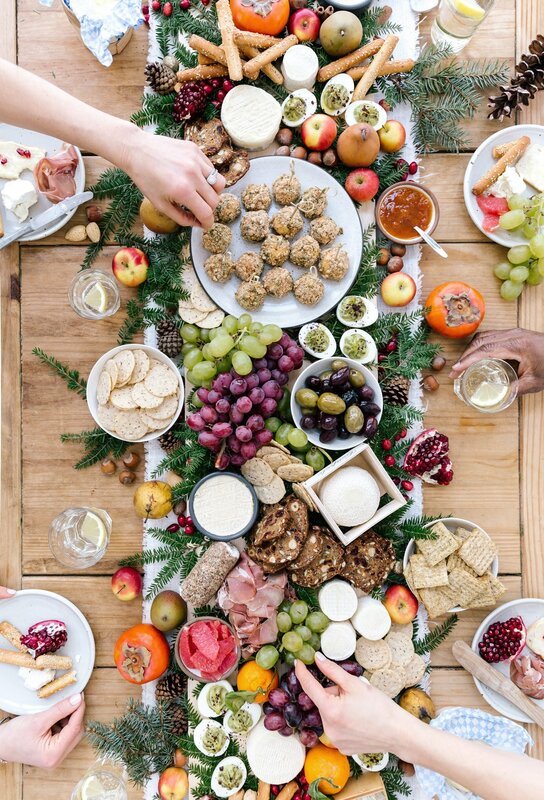 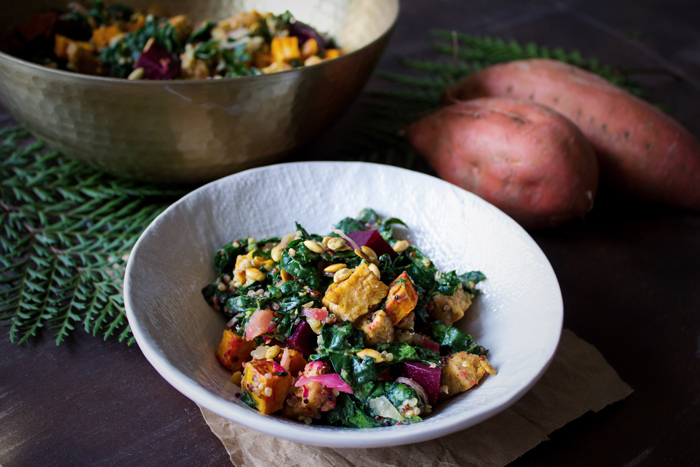 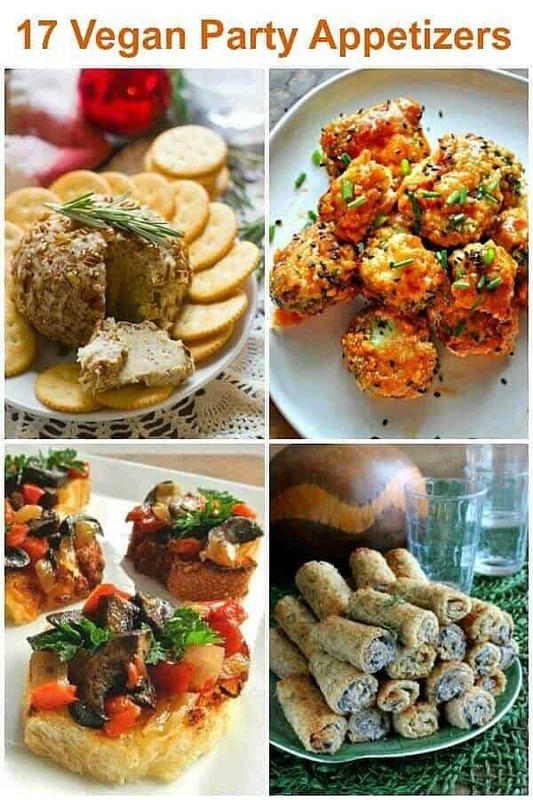 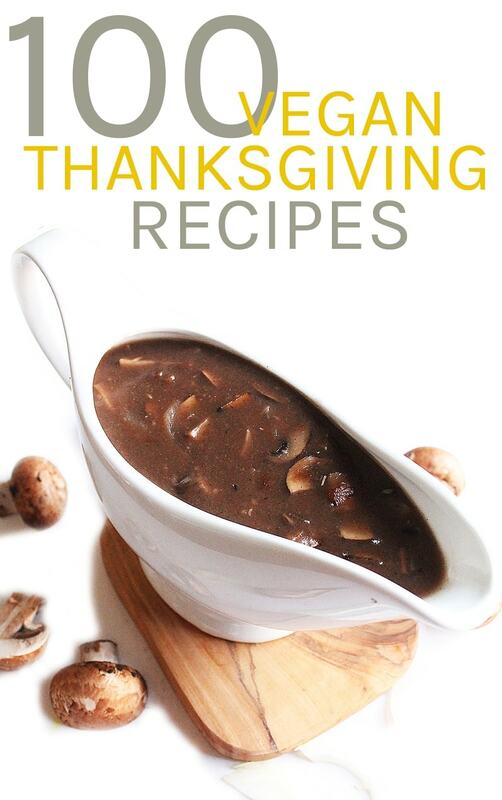 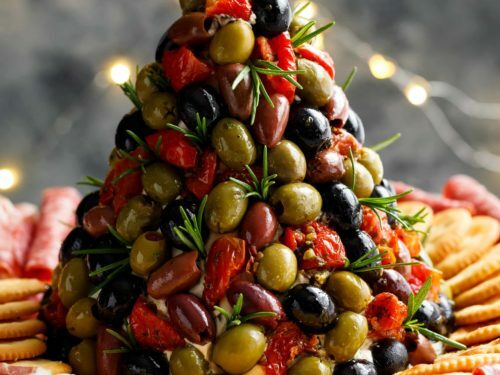 Four photos out of the 17 Vegan Party Appetizers in vertical shapes. 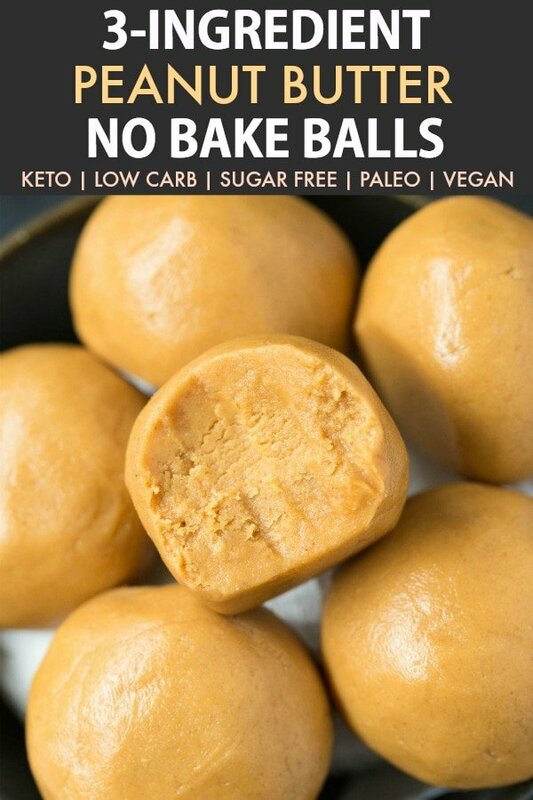 Orange lettering! 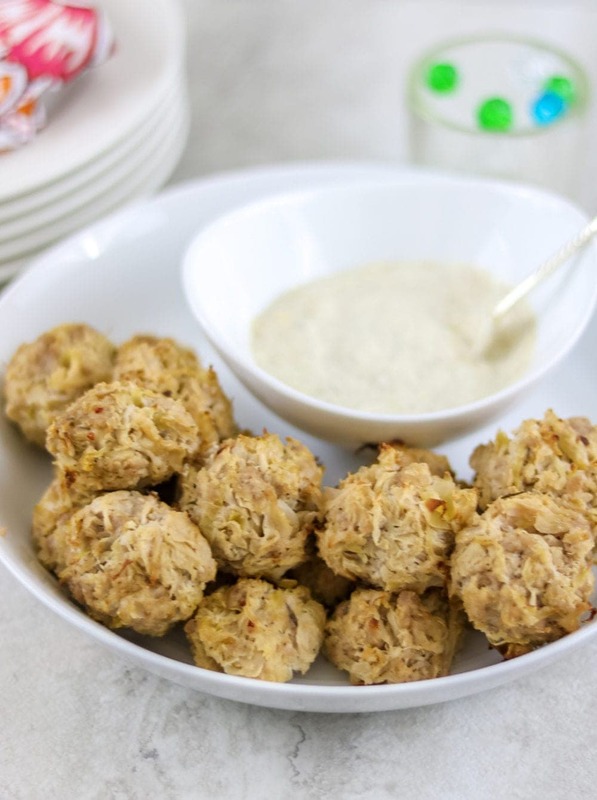 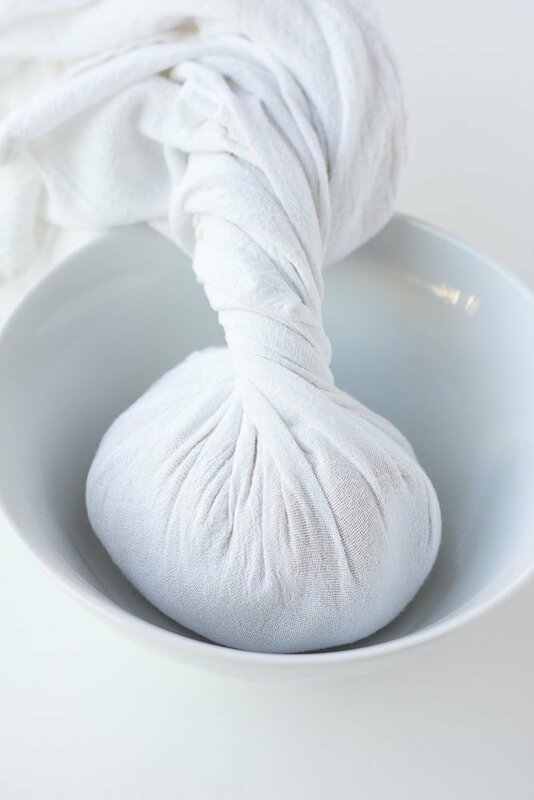 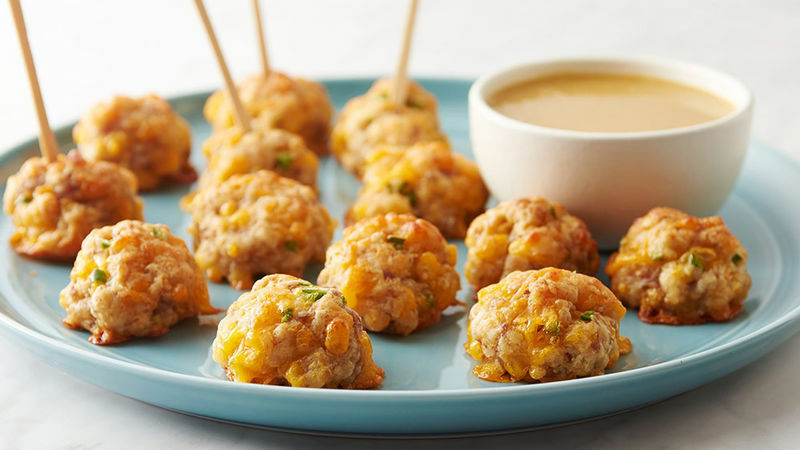 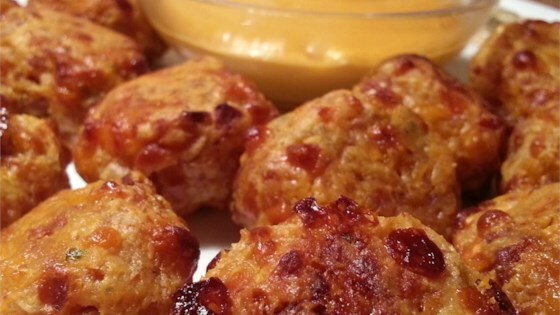 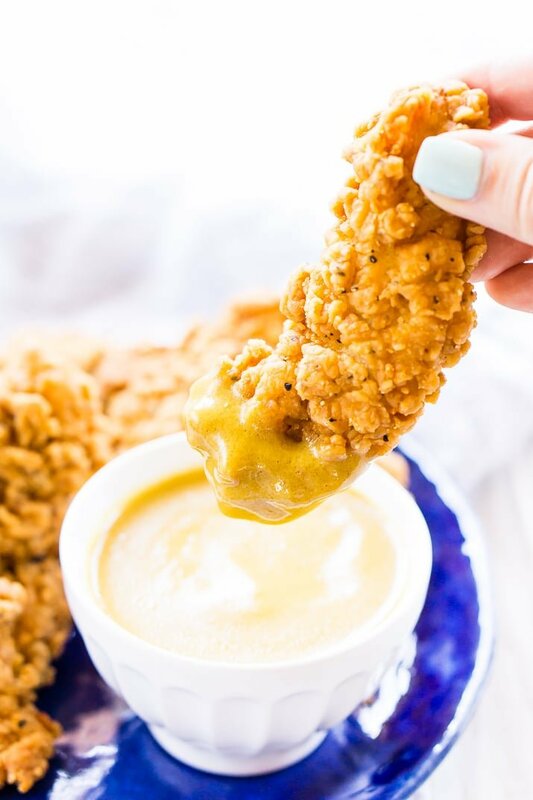 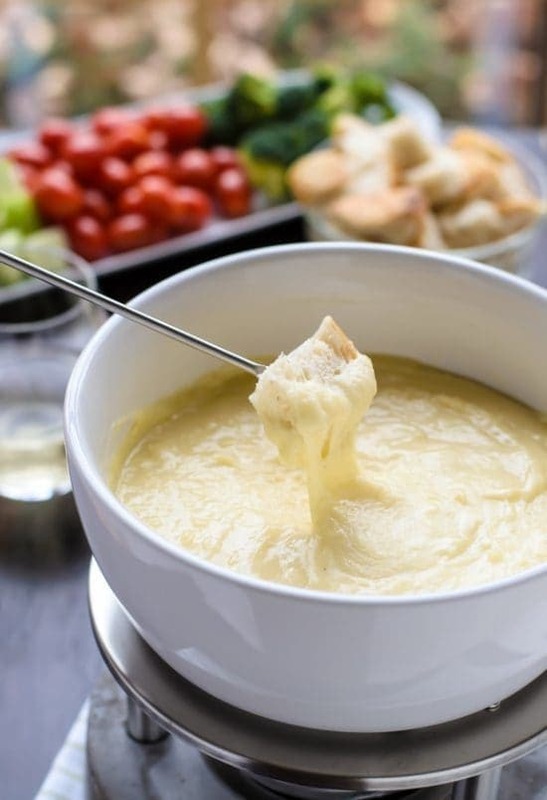 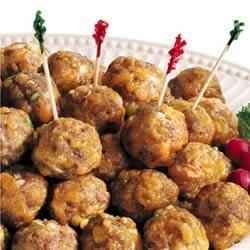 Baked sauerkraut balls on white platter served with creamy dipping sauce.